Flower Camping La Canadienne er en campingplass i Arès, Gironde, som ligger i skogen. Denne campingplassen har steder med avgrensning, med skygge og plasser med noe skygge. Det er mulig å leie stasjonære campingvogner. Det er ikke alltid nødvendig å lage mat selv, for på campingplassen er det snackbar, pizzeria og restaurant (begrenset meny). På campingplassen kan man også kjøpe nybakt brød. Det er mulig å bruke internett, for det er WiFi-tilkobling. Denne inspektøren besøker hvert år Flower Camping La Canadienne og inspiserer campingplassen for ca. 200 fasiliteter og for andre punkt som forekommer. Inspektøren er en medarbeider fra ACSI og arbeider ikke for campingplassen. Well run site with very helpful staff good showers and toilets. Close to Cap Ferret and several other lovely places. Quiet at night very peaceful stay all in all a super place to visit loads of bike trails clearly marked and fabulous beaches closeby. Swimming pool very pleasant in the hot weather and a BBQ area for those wanting to cook outdoors. We stayed here for two nights en route from St Jean De Luz to Soulac. This quiet site with its uncrowded pool was a very welcome change from other busier sites we'd stayed at.. The toilets/showers are excellent as is the very thoughtfully designed barbeque area with herb garden. The site is well situated in a wooded setting - not all shade, with easy access to the town, lake and two supermarkets. The reception staff (owner?) was very friendly and helpful and made us welcome. 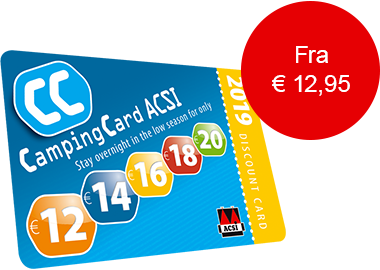 With the ACSI card we paid 32.88 euros for two nights which we considered excellent value for money. A very relaxing break on our journey. Thank you. This was a great little site mainly seasonal cabins but the touring pitches were more than adequate. We were greeted by the owner with a 'very warm welcome' friendly and very helpful the facilities were very clean and the restaurant which was open at the weekends served very nice food and also sold home made bread. The site is situated quite nicely on the outskirts of Ares which is a lovely town and we would certainly stay here again. Was very disappointed. Pitch was small and very difficult to get into as permanent vacation homes all around. Had so much trouble trying to get out with our 18' van that they had to open the entrance gates to let us out. The road ways with trees on the bends did not allow for turning with a van being towed. No mention by anyone else of the traffic noise, which because of the near motorway, continued all day and late into the night. Not many pitches for tourers either - only had two for us to choose from. Intended to stay a week but left after only one night due to traffic noise. Wooded but not over shaded site. Although mainly cabins and statics, the site has a nice friendly feel for touring. Manager very friendly and helpful. Excellent spacious sanitary and utility block. Good free Wifi. Easy traffic free cycling paths with direct access from back of site. Would definitely stay again. Vil du booke Flower Camping La Canadienne eller få mer informasjon? Det går bra med opplysningene nedenfor. ACSI Eurocampings sender din forespørsel til "Flower Camping La Canadienne".